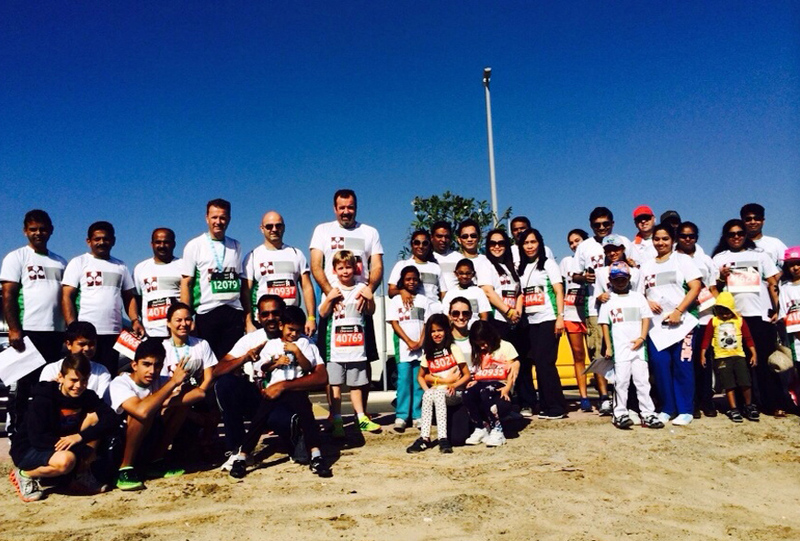 The Summertown team was in force for this years’ Dubai Standard Chartered run with 49 staff and family members taking part in the annual 4km fun run and 10km race, held in Dubai on 23rd January. Seven runners took part in the 10km run, whilst the 4km fun run participants made up the remainder of the team including a group of ‘mini athletes’ with the youngest being just 5 years old. The Dubai Standard Chartered run is one of a series of health and wellness events that is organised by Summertown’s HR Manager, Esra Kayhan, in a bid to promote the importance of a healthy lifestyle. Other initiatives have included a company wide ‘Introduction to Yoga’ session, a kayaking tour of the Eastern Mangroves, and ‘Sailability’ – an employee volunteering initiative to support disabled children in learning how to sail. Esra also adds “Not only does the event bring the team together for some competitive fun, but we also raise money for charity. I’m very proud to say that we have managed to raise almost AED 10,000”. This year, Summertown’s donations will be going to our employee volunteering program partner, Manzil – a local centre for children and young adults with special needs.